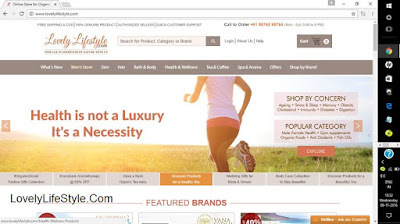 Today I am going to do website review of an online store LovelyLifestyle.Com and share my shopping experience with it. Lovelylifestyle.com is an online store to shop all natural and organic skin care and hair care products . Its a part of Lovely group of Punjab , the Parent Company of ventures like Lovely Professional University , Lovely Sweets , Lovely Autos etc . * It curates the aesthetic and unmatched collection of natural and organic products . * They sell 100% genuine products directly from authorized vendors . * Their products are hand picked and are of high quality . * Their products have clean and clear labelling . * They have wide price range . * Product packaging is very good and attractive . Now coming to the website , it has a great user friendly layout , one can easily browse the site and search what they want . Navigation is easy with various menus and filter options . 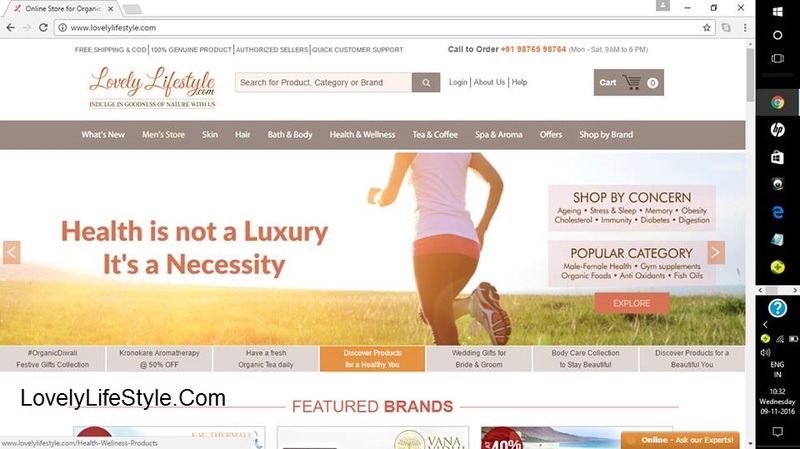 They have section called Skin care Regime Finder where one can find the products suitable for their skin type by selecting their skin type , age, time of skin care like morning or night etc . So it becomes easy to search the products suitable for our skin type , then we can choose from a wide products available their . This is another section which is very useful . One can shop products according to the ingredients . This is for skin care , hair care , bath & body and Health and Wellness . Then they have a section called essential Oils where one can buy essential oils according to their need like for hair fall ,anti ageing , acnes , scars etc . One can use Essential Oils to get a positive emotional state , to refine your skin , to enhance your physical wellness etc. They have a section called Top 35 where one can find top 35 Best Selling products curated by beauty experts . In this section one can find product under Rs 499 . One can choose from skin care , hair care and Bath & Body . There is a section where as one can take a small quiz to find their skin type . This helps to understand our skin better and get personalized skin care products and tips . After browsing the site for quite long i chose products from two brand Inatur and The Natures Co as both of these were in my wishlist . I prefer using products which are natural , herbal and organic and contain either no or minimum chemicals . I got my products with in a week of placing order . My products came in two different packages as they were from two different brands . Done in bubble wrap and i got all products in good condition . They offer free shipping on orders above Rs 750 or else they charge Rs 60. One can pay by various payment methods like Net banking , Paytm , Mobiwik , Cash on Delivery etc. 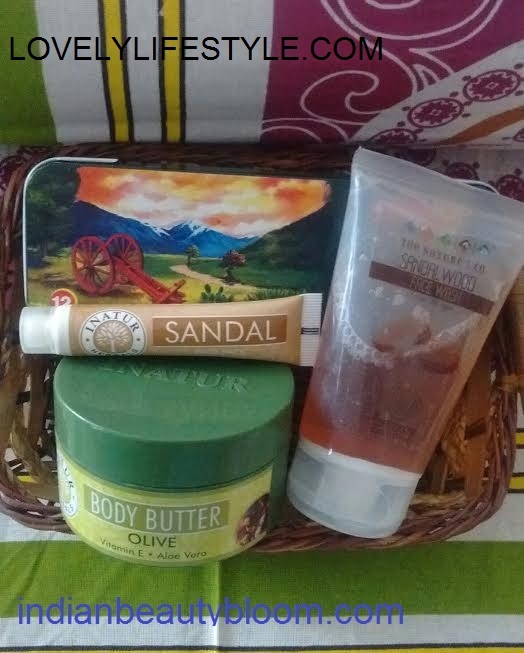 Along with this i got one free sample of Inatur Sandal face pack . I chose this product as my skin type is oily and i always look for products which are meant for oily skin and i have already used some product from this brand The Natures Co , and i had good experience with those products . So when i saw this sandal wood face wash on Lovelylifestyle , i thought of trying it . 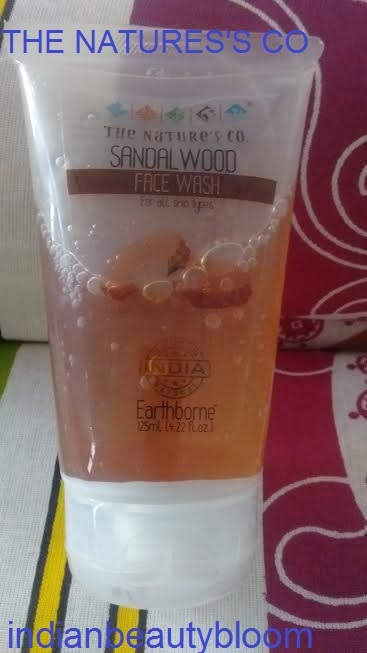 The product contains sandalwood extract , aloe Vera and Glycerine . Price Rs 595 for 125 ml . The second product i chose is a body butter from brand Inatur . This is for my winter skin care routine . 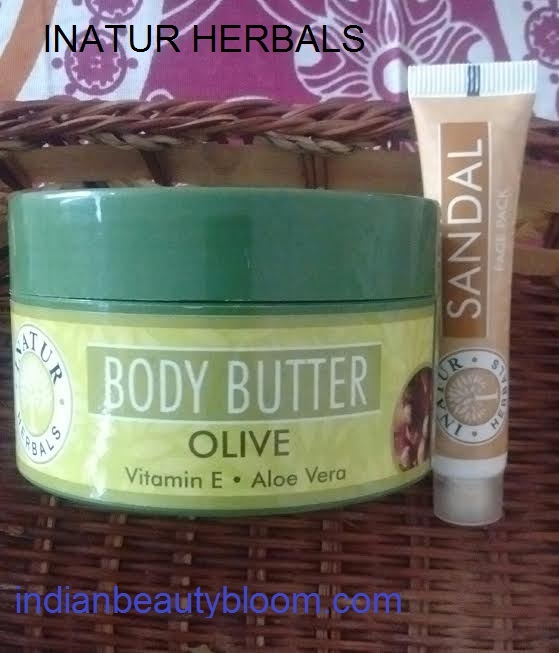 Since winter has started and we need a good body lotion or a body butter to moisturize our skin , i thought of ordering this body butter which has goodness of olive , Vitamin E and Aloe Vera . It contains sandal , saffron and turmeric . Inatur is a herbal brand which is cruelty free and its products are not tested on animals . 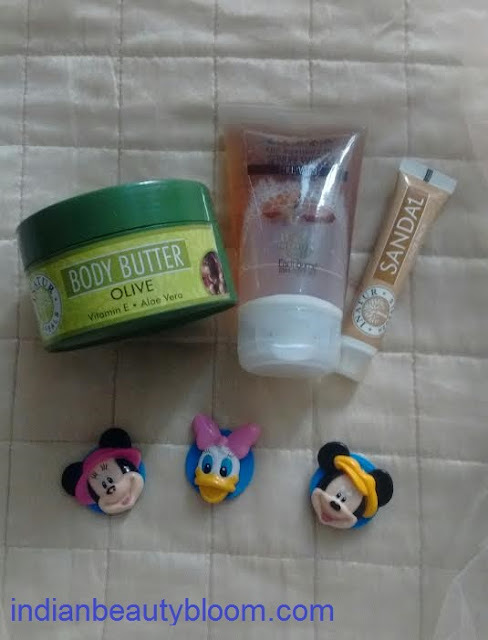 So excited to use and try these natural products from renowned brands . My overall shopping experience with this site is good and would surely recommend others to try it . Its a Perfect Destination for people who look for natural , herbal & organic products . One can get wide range of products from all famous brands in affordable price as they have various offers and discounts . One can get upto 70% discount on products from various brands .